Psychic Tattoo is about a Yin and Yang Tattoo that can bring you fame, fortune and safety. 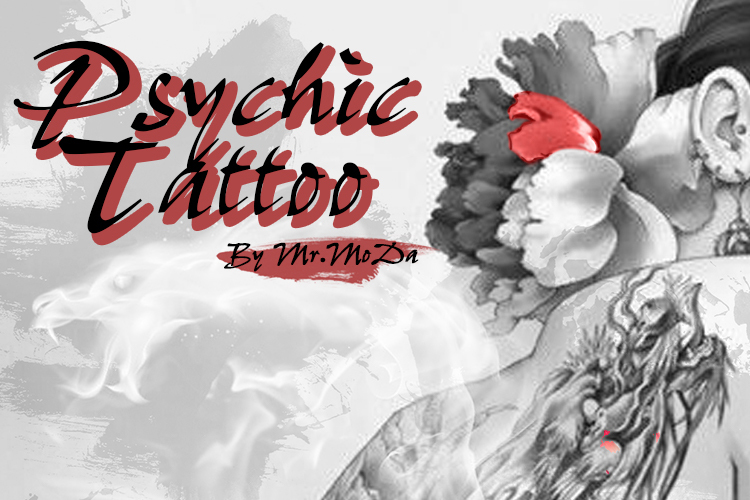 The psychic tattoo is no ordinary tattoo, as it has special properties! The successor of those who can make the psychic tattoo can help people avoid evil things and acquire fortune and safety by simply giving the individual this tattoo. It would be a good way to earn money if he did this in the city, but his master told him to never earn money with this skill before his deathbed, otherwise he would find himself in great trouble sooner or later. He tends to follow his master’s advice, but finds himself in need of money. When the girl in the massage parlor asks him to give her a psychic tattoo, he decides to go against his master’s advice. From then on, he begins to face challenges one after another. The novel is about the main characters interactions with his customers and how their lives are changed after getting one of his supernatural ability tattoos. Its not a bad read and offers some insight into Chinese culture. However, the only problem I have with the story is the fact that the main characters does not show enough initiative and is kind of weak willed towards his customers. Wow I really like these types of stories. A bit of mystery a bit of horror. The only problem is the translation is a bit bad. It needs polish. Also the MC is an idiot lmao. He doesn't listen to advice he gets pressured by everyone he's a weak sissy MC. The MC is a fu*king moron. People keep giving him fantastic advice and he does not listen to anyone. There are so many other more experienced mystic users and he continues to f*cking ignore them and do the exact opposite of what everyone tells him to do.